Incredible! The first month of 2012 is already over! And what a month it was! 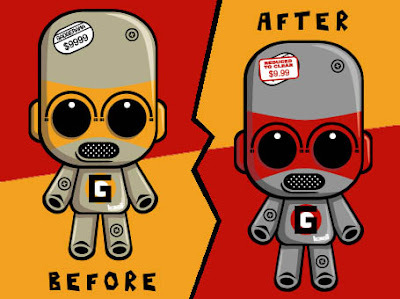 A month that saw us meet a happy Grumpy Mascot, a skinny Greedy Mascot, and even an upgraded Gadget Mascot! 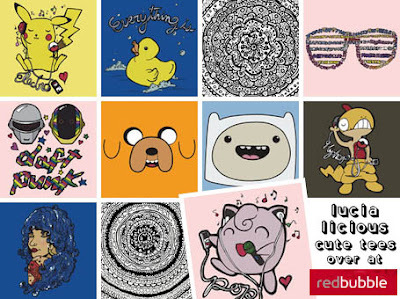 And what about all those super cool designers we met, like Kannaya, Wear It Cuter, and Beata Viscera to name a few! And let’s not forget our monthly puzzle! 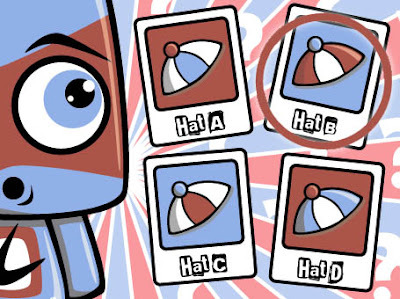 Did you work out which hat belonged to the Loco Mascot? Amazing, it was Hat B! Who’d have thought, huh? Anyway, folks, that’s all for this month. And sadly, due to unfortunate and unforeseen circumstances, that’s also all for the KawaiiPunk blog for the time being. But don’t be too upset, you can still get your kawaii fix over at the KawaiiPunk Twitter page - provided I can get my fellow mascots to use it that is! And hopefully we’ll all be right back here later in the year, blogging away bigger and better than ever! But in the meantime - a big thank you to all of our wonderful readers who have supported us over the past three years, and remember… whatever you do, keep it kawaii! You may remember back in September of 2009 I sent you a fantastic piece of readers’ art. (Re. Masterful Musical Masterpiece!) Well, guess what? Yip, that’s right, today I’m sending you another such amazing artwork for you and your readers to enjoy! And, once again, it has absolutely nothing to do with KawaiiPunk or kawaii whatsoever! Stunning stuff, wouldn’t you agree? 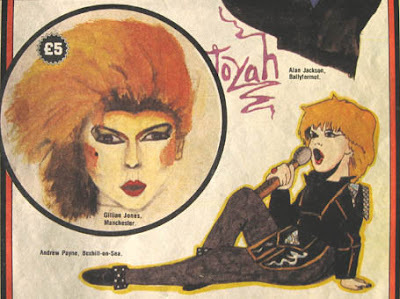 It’s a couple of pictures of post punk singing sensation Toyah, taken from the September 4th 1982 edition of TV Tops which, at the time, claimed to be “Britain’s best TV comic!” - although I’m pretty sure the good folks at Look-in would have had something to say about that boast! Anyway… once again I cannot actually claim credit for these wonderful works of art, as they were drawn by Gillian Jones of Manchester and Andrew Payne from Bexhill-on-Sea, who won a staggering £5 and £2 respectively for their efforts! Lucky them, huh? Wow! Thanks Matthew! Another fantastic slice of pop history for us all to enjoy! And another mystery as to what that lucky pair spent their winnings on! Gillian, Andrew, if you’re reading this, you know what to do! Tada! You see, to counteract your impending obsolescence I’ve given you an amazing makeover to make sure you stay competitive in the high paced world of electronic gadgets. And how have I done this? Simple! I’ve repackaged you in different colouring and slashed your cost by a staggering $9990! Now you’re only worth $9.99! That should keep you sitting pretty! Well Tamara, I never thought I’d hear myself say this, but I think you have actually managed to outdo yourself with this one! In fact, I’d go on the record as saying this is your weirdest makeover to date! And that’s really saying something!